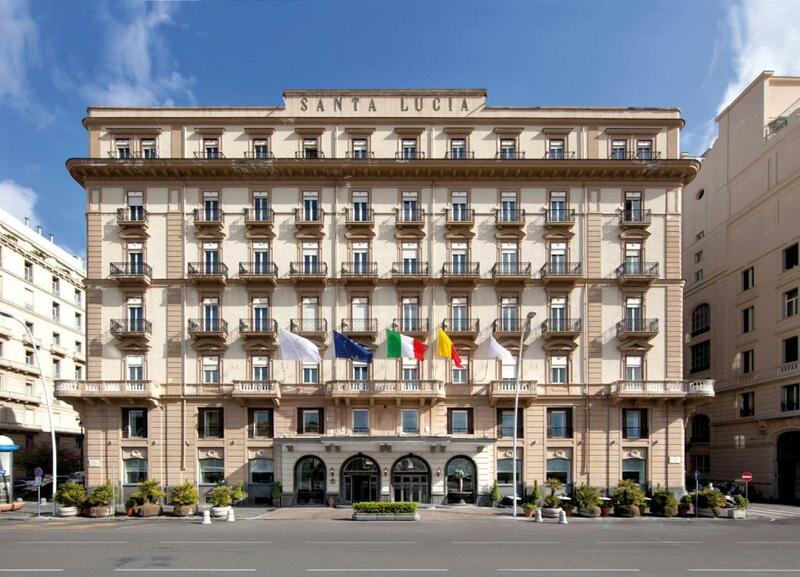 Lock in a great price for Grand Hotel Santa Lucia – rated 8.8 by recent guests! The location was excellent for enjoying a stroll along the bay. My room was spacious and modern. The fixtures and furnishings looked new. I asked for a room with a sea view and got it! I also asked not to be put on the main or first floor. I was put on the 5th floor. I'm glad those requests were accommodated. 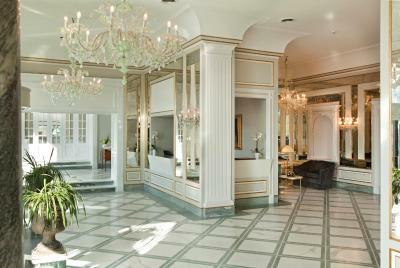 This is a wonderful, vintage hotel directly on the waterfront with views of the bay and beyond. Our room was spacious, comfortable, clean as a pin and had a fabulous view with a small balcony. The staff at the hotel was great and very helpful, both before and during our stay -- very responsive to many questions we had concerning the City, arranging transfers, etc. Many good restaurants within an easy walk. One of the best breakfasts we had during our 3 week stay in Italy. 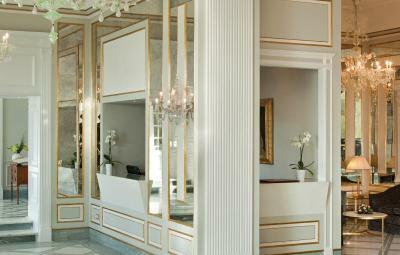 I would be very happy to return and stay at the Grand Hotel again. Great location....Rooms spacious. Near alot of seafood restaurants. The suite was large and location was wonderful, as advertised. Staff was friendly and helpful. Good restaurants in the area and views are beautiful. Extremely polite staff, always with a smile. Beautiful room in a beautiful location. Great value for money. Location was stunning. Our room was spacious, comfortable, with a beautiful view. It is a nice and comfortable hotel. The staff was helpful. This property far exceeded my expectations. The staff was welcoming and professional, but the room was far better than advertised. That's not the norm. 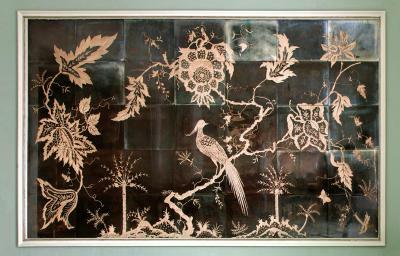 the pictures on the Booking website do the room no justice! I had perfectly styles marble flooring, beautiful waterfall showers with changing light and a picturesque view of Bella Napoli! Breakfast the next day was even better! Have been staying there before. The hotel is well located, clean and comfy. No question, will stay there again. Grand Hotel Santa Lucia This rating is a reflection of how the property compares to the industry standard when it comes to price, facilities and services available. It's based on a self-evaluation by the property. Use this rating to help choose your stay! Enjoy unforgettable views across the Bay of Naples at Grand Hotel Santa Lucia, offering true luxury and modern amenities right on the harbor in the heart of historic Naples. 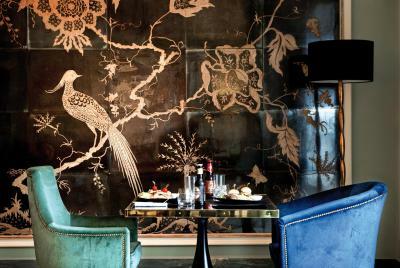 This elegant property dates back to the beginning of the 20th century and features an impressive Art-Nouveau design. 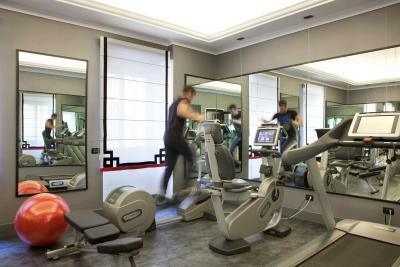 Fitness lovers will appreciate the hotel gym. Each of the guest rooms features top quality furniture and comfortable beds with wrought-iron headboards. You can choose between quieter, internal rooms and rooms with sea views. 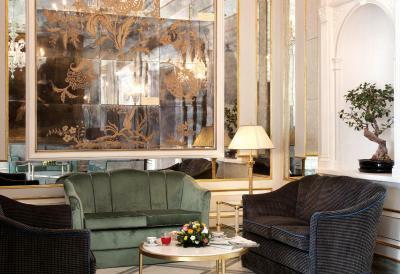 The elegant suite guarantees an extra-special stay. 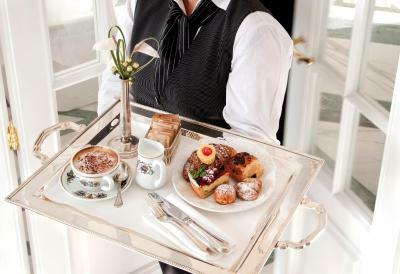 A rich breakfast buffet is included in your room rate. 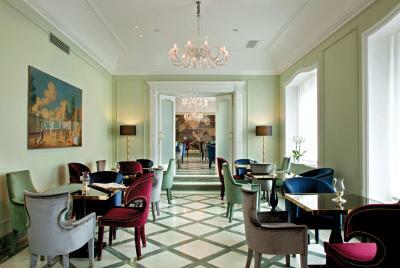 Santa Lucia Grand Hotel features a stylish restaurant where you can dine while admiring the view across the harbor. 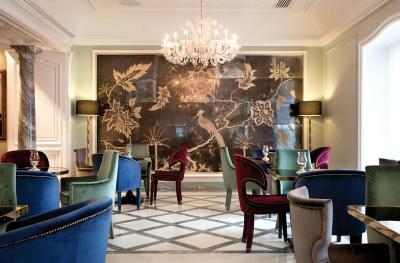 Enjoy creative, contemporary dishes mixed with Neapolitan favorites. A fine wine from the well-stocked cellar complements your meal. 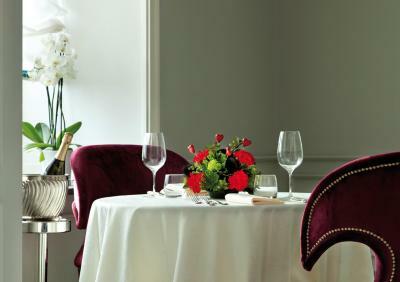 The dynamic team of attentive staff guarantee a flawless service. The beach and port are nearby, from which you can catch the ferry to the islands of Ischia and Capri. Lungomare Caracciolo is a great choice for travelers interested in scenery, ambiance and food. 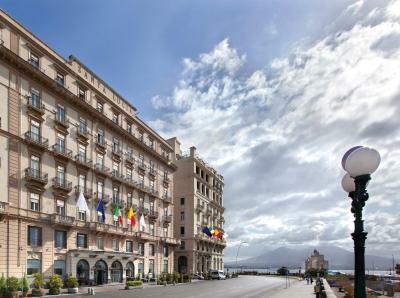 When would you like to stay at Grand Hotel Santa Lucia? With air conditioning, an LCD TV and a minibar. 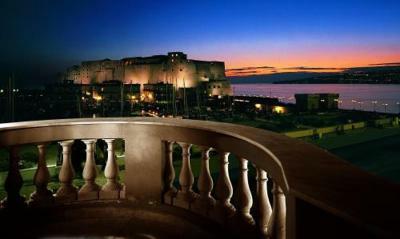 Includes a bathrobe and slippers and offers panoramic views out over the Bay of Naples. With air conditioning, LCD TV and balcony. This large suite has a spa tub, a bathrobe and slippers. 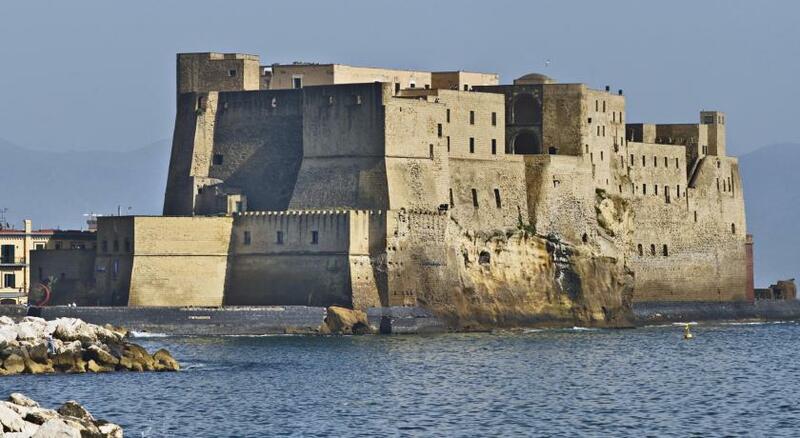 It overlooks the Bay of Naples and features air conditioning, an LCD TV and a balcony. Hotel surroundings – This neighborhood is a great choice for travelers interested in scenery, ambiance and food – Check location Excellent location – show map Guests loved walking around the neighborhood! 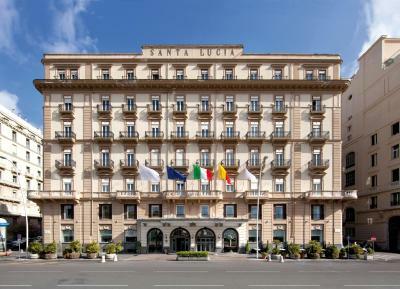 House Rules Grand Hotel Santa Lucia takes special requests – add in the next step! 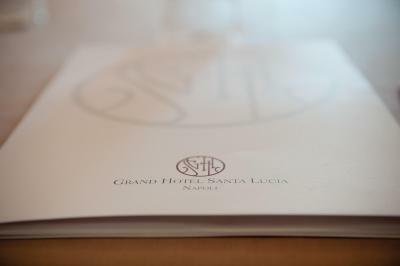 Grand Hotel Santa Lucia accepts these cards and reserves the right to temporarily hold an amount prior to arrival. The maid didn't clean the bathtub or sweep the floor in the room. And I left a tip twice! Also, I used room service. The first night, I ordered a pizza and some sliced fruit. The pizza was delicious and the fruit was fresh but whoever prepared the fruit had on too much cologne. The apples tasted like men's cologne! They also brought up some dish I didn't order as a "gift". It tasted terrible! It was ricotta and prosciutto sandwiched between soggy focaccia. It seemed like something they should've thrown out, but decided to give to me instead. Another night, I ordered that same pizza, a salad nicoise, and a baba cake soaked in limoncello. The pizza was not nearly as good as the first night I had it. They added burrata to it which was a nice touch, but there was way too much eggplant and zucchini and not enough mozzarella. That baba cake was awful! There was carmelized sugar on the plate and cake, so I'm expecting the cake to be warm. It was ice cold! Nothing delicious about it at all! The salad was fresh and delicious. Upon checking out, my bill wasn't itemized properly and there were things added! They didn't show me an itemized bill until after I gave them my credit card. Now, when I checked in, they asked for a credit card for "incidentals". The room was already paid for. So, I didn't understand why they needed my card again upon check out! It was all very chaotic and I had a taxi waiting. And on top of all that, they gave my taxi driver the wrong address to my Airbnb (which is where I needed to go next). I had to pay double the cab fare because of those idiots! I rode all over Naples! When the driver finally stopped at the location the hotel gave them, the address was for a tailor's shop. I got out and spoke with the shop owner and explained the situation. I showed him the map of where I needed to go (just like I showed the hotel staff!) and immediately he knew what the problem was. it is EXTREMELY tough to figure out parking if you choose to rent a car and drive. Naples streets are tough to navigate and there is virtually NO parking in front of the hotel to even check in. They offer garage parking for 20 euro a night, but the challenge is getting to the front of the hotel with a car. The breakfast is a little basic. The refurbished rooms were very comfortable. Breakfast was outstanding. The room smelt of smoke and the staff didn't seem to care or want to do anything about it. The breakfast was poor, an extra 6 euros for one poached egg? The rooms very well decorated and very comfortable.